The deadline for submission of nomination papers for general elections 2018 will expire at 12:00midnight today (Monday), Dunya News reported. The general election for the National Assembly and provincial assemblies of Punjab, Sindh, Khyber Pakhtunkhwa and Balochistan are scheduled to be held on July 25. 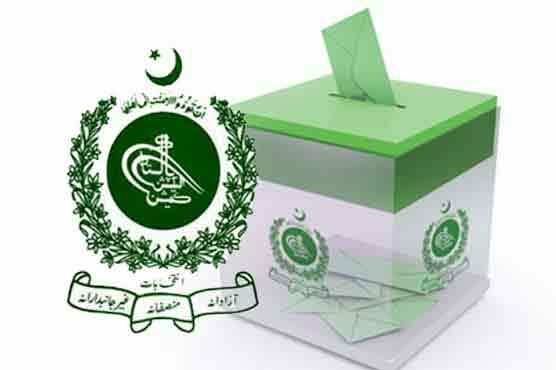 According to Election Commission of Pakistan, the date of publication of names of the nominated candidates will be June 11, while the last date for scrutiny of nomination papers by the Returning Officers will be June 19. The last date for filing of appeals against the decisions of the Returning Officers rejecting/accepting the nomination papers will be June 22 while the last date for deciding of appeals by the Appellate Tribunals will be June 27.